New Directions Publishing Corporation, 9780811215886, 322pp. 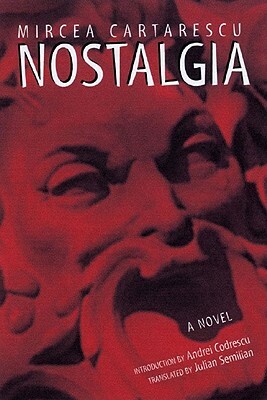 Readers opening the pages of Nostalgia should brace themselves for a verbal tidal wave of the imagination that will wash away previous ideas of what a novel is or ought to be. Although each of its five chapters is separate and stands alone, a thematic, even mesmeric harmony finds itself in children's games, the music of the spheres, humankind's primordial myth-making, the origins of the universe, and in the dilapidated tenement blocks of an apocalyptic Bucharest during the years of communist dictatorship.